Our Yoga Hero Advent is 24 whole days of yoga treats and surprises! 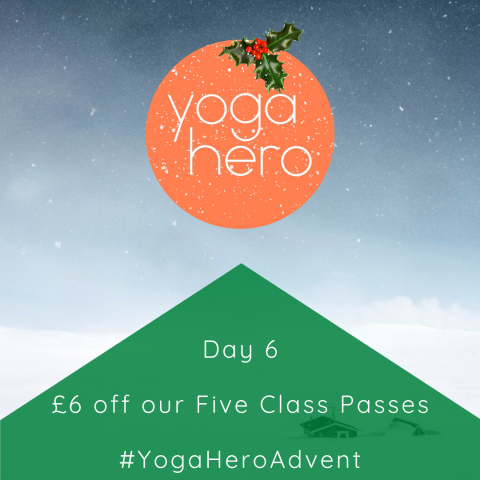 Just check #yogaheroadvent daily, there’s some absolute corkers to come, don’t miss out! Get £6 off a Five Class Pass! Our five class passes are valid for all classes on the timetable, for three months from the purchase date. Fancy coming more often? You’re welcome to buy two passes, or three, or four! Just bear in mind the expiry date. Treat yourself!